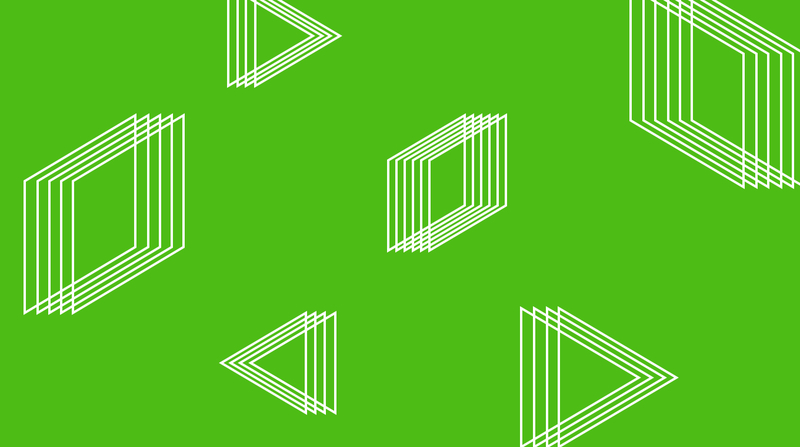 While project backlogs remain higher than the same period last year, home renovation and design businesses in the construction sector and architectural design services sector experienced a decline in project backlog, according to the Q3 2018 Houzz Backlog Indicator. 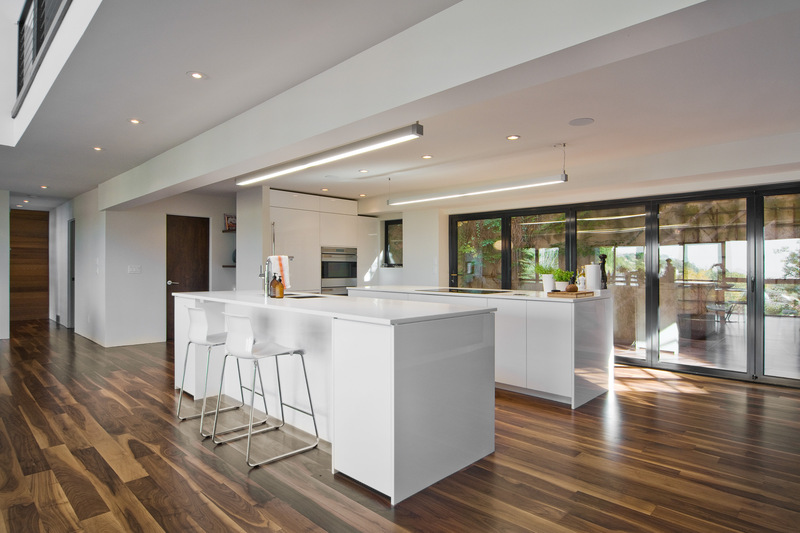 * The Houzz Backlog Indicator tracks the average number of weeks before a business can start work on a new midsize project and is a component of the U.S. Houzz Renovation Barometer. The Backlog Indicator revealed that companies in the construction sector experienced project backlogs of 6.5 weeks nationally (down 3.4 weeks from Q2). Backlog declined among all three reporting business groups but most significantly for specialty trade contractors to three weeks (down 5.2 weeks from Q2). Build-only remodeler backlog declined to 9.8 weeks (down 0.9 weeks from Q2) and design and build remodeler backlog declined to 11.4 weeks (down 1.5 weeks from Q2). That said, overall backlog for the construction sector is nearly two weeks higher than the same period last year (4.6 weeks in Q3 2017). 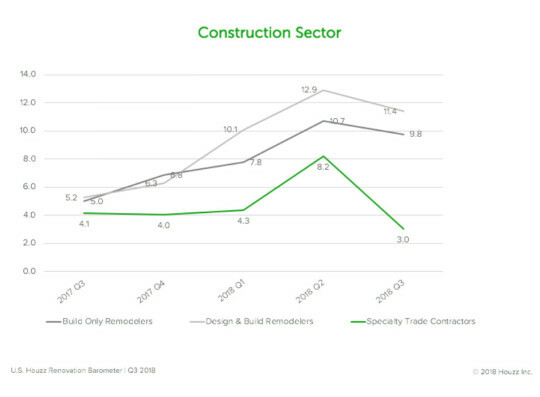 In contrast to the quarterly decline experienced by the construction sector, the architectural and design services sector held steady quarter-over quarter at 5.6 weeks nationally. Among the three reporting business groups, architects’ backlog declined by one week to 4.5 weeks, landscape architects’ backlog increased to 6.6 weeks (up 1.5 weeks from Q2), and interior designers’ backlog remained somewhat steady at 7.4 weeks (up 0.4 weeks from Q2). 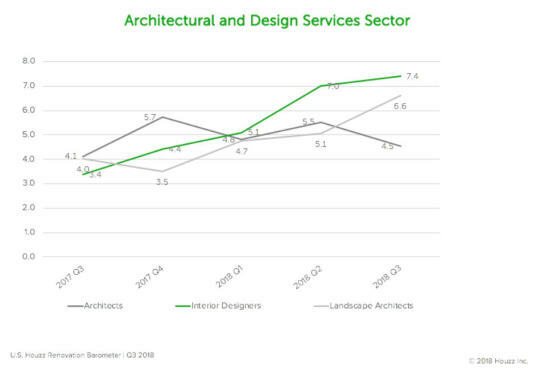 Compared to last year, backlog for the architectural and design services sector as a whole is 1.6 weeks higher (versus four weeks in Q3 2017). In addition to increasing year-over-year backlog, expectations for project inquiries and new projects in Q3 are high. The overall outlook for the home improvement market remains strong through the end of the year and beyond, according to our principal economist, Nino Sitchinava. For more of Nino’s insight on the market, check out her latest blog post here. *The Q3 2018 Houzz Backlog Indicator is one of the components of the Houzz Renovation Barometer. The Barometer keeps a pulse on home renovation market conditions via indices that track expected, current, and recent business activity in two related industry sectors, the construction sector and the architectural and design services sector. Indices are constructed individually for three subsectors in the construction sector (build only remodelers, design and build remodelers, and specialty trade contractors) and for three subsectors in the architectural and design services sector (architects, landscape architects, and interior designers), as well as for nine regions that follow U.S. Census Bureau Divisions. 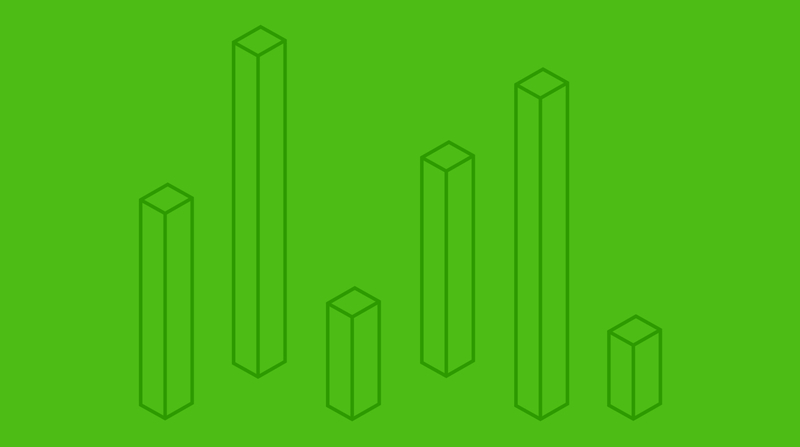 The Backlog Indicator is conducted quarterly and presents analysis of responses to an online survey sent out to a national U.S. panel of businesses with an online profile on Houzz. N=2,476.